Don Mercer is an author and freelance fine art photographer. Research for one book took him to the middle of Cambodia in 1999, as he was the first from among his wartime unit to return to that country. During the War in Southeast Asia, he flew over two hundred combat missions as an Air Force pilot in the Cessna O-2A. His combat assignment was as a Forward Air Controller, or FAC. The majority of his combat missions were in Cambodia. While in Southeast Asia in 1970-71, his interest in photography intensified with the purchase of his first two of several Nikon cameras. Black and white, as well as color, 35mm and Super 8 movie films were used at the time. The transition to digital photography was begun in the late 1990s, as well as to more modern cinematography to include DVCAM. 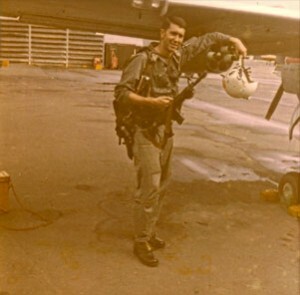 Subsequent to his combat service, Don flew as a T-38 instructor in the Air Force. In 1974, he separated from the United States Air Force and began flying the F-105 Thunderchief, affectionately known as the “Thud” – a single seat, single engine fighter – with the Virginia Air National Guard. From a period of almost twenty years beginning in 1974, Don owned several aircraft: a Cherokee 140; Beechcraft C-55; and Cessna 414. Travel in these and other general aviation aircraft took him across the United States, to western Canada, to the southern border of Mexico, and among numerous islands in the Western Caribbean. In 2001, he also completed a flight with close friends in a Cessna 210 traveling throughout much of Alaska – Anchorage, Fairbanks, Point Barrow, Prudhoe Bay, and Skagway. They then continued on to White Horse, Yukon, and Calgary, Alberta, Canada. Concurrent with service in the Virginia Air National Guard, Don entered the life and health insurance business. He co-founded one firm specializing in the sale and service of group insurance products and another having as its objectives the funding of business and estate planning solutions utilizing insurance products. After he provided both oral and written testimony to a United States Senate sub-committee in 1992 on behalf of consumers, Don served as an expert witness for over five years. His work involved civil litigation, both individual and class action, pertaining to life insurance, annuity, and investment products and issues. Don’s first book, Inverted Flight – A Collection of Verse, was published in 2004. Lights Out – Destination Darkness / America’s Unknown War: Cambodia was published in 2009. He is currently working on Volume II in the series, America’s Unknown War: Cambodia. During a period from 1997 to 2011, as Counsel, he oversaw the submission of all awards forwarded to the Air Force Board for Correction of Military Records (AFBCMR) from the Rustic FAC Association for heroism, extraordinary achievement, and meritorious service for some of the men who had served in the Air Force’s Rustic Operation during the War in Southeast Asia. The bases for the delay in submitting these awards were exigencies at the time of the combat missions flown and the long-standing classification of the Rustic Operation in Cambodia for over twenty-five years. Subsequent to his retirement after more than thirty years in the insurance and investment industries, he has pursued a number of interests: writing, fishing, photography, and travel. 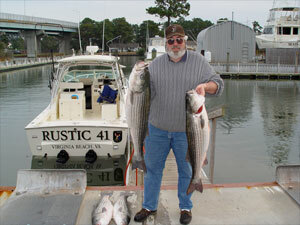 Don resides in Virginia Beach, Virginia, with his wife, Noreen. They have three daughters: Noelle; Erin; and Cheerie. Today, Don may be found kayaking on Lake Trant, on which his home is located, taking photographs of wildlife; immersed in research reviewing filmed interviews from over seventy Rustic personnel, flight logs, and notes from the war while working on his next book; fishing at varied locations – most recently from Virginia to St. Thomas to Alaska in 2010, in Botswana’s Okavango Delta in 2011, to the upper Peruvian Amazon for piranha and other species in 2013; and enjoying travel dedicated to photography.